The snare drum is the most complex instrument on a standard drum set, and fixing it first requires a diagnosis of which part of the drum needs repair. Each piece of the snare drum requires different approaches to fixing it. Check the bearing edge on the shell. This is the edge of the drum that comes into contact with the drum head. If this edge is damaged, the drum will be very hard to tune properly. The edge can be refinished with a sander and should be finished at approximately 45 degrees. Do not attempt this repair unless you are skilled with wood work since further damage could ruin the snare. There are companies that will refinish bearing edges for you for a small fee. Check the basic hardware. With the drum head removed, inspect and tighten the screws on the interior of the drum. Loose screws can eventually fall off and may cause damage. Make sure that all the tension rods and lugs are in working order. If a tension rod is damaged or a piece of a lug is missing, replacement parts are easily available from a local drum shop. Since each piece simply screws on and off, this make for an easy fix. Check the snare throw mechanism. 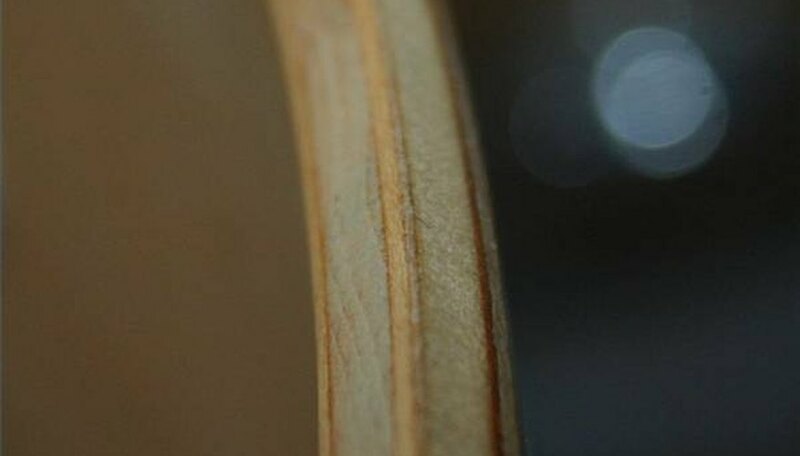 This is the most complex piece of the snare drum, and it is responsible for holding, raising, lowering and adjusting the tension of the snare wires. If the snare throw is not functioning properly, remove the screws that secure it to drum and inspect it carefully. If any part of the mechanism is bent or damaged, it will probably need to be replaced. Replacement throws are also easily available from most instrument shops. 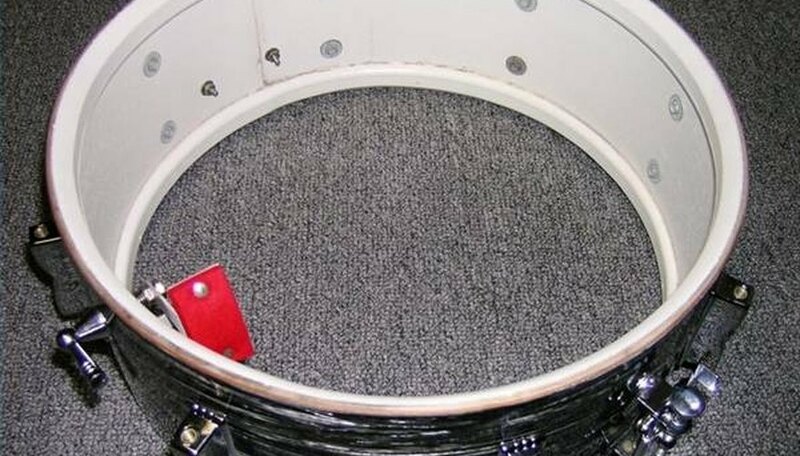 If the part does need to be replaced, it presents an excellent opportunity to upgrade to a high-quality throw that will improve the overall function of the drum. Check the snare wires. 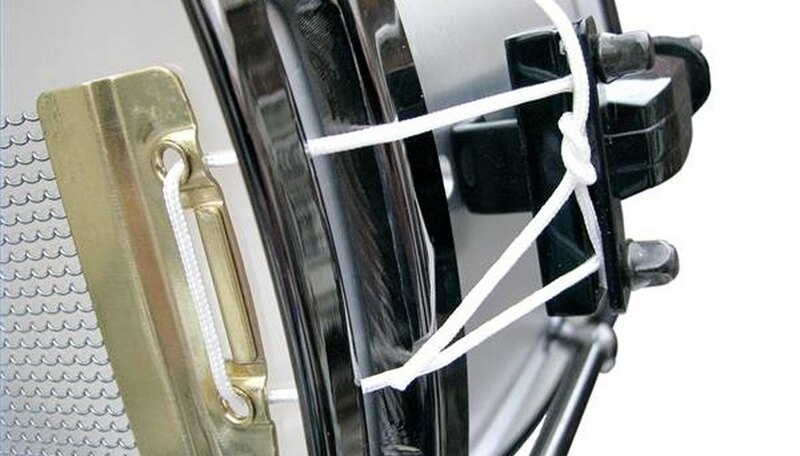 Over time, the snare wires can break and cause the drum to sound bad. A broken wire will be immediately obvious since it will bounce around and may even poke you. For a quick fix, simply snip the broken strand off with wire cutters or needle-nose pliers, and bend the remaining end away from the drum head to prevent puncture. Eventually, broken snare wires will need to be replaced, and this also presents an opportunity to upgrade from factory parts to high-performance gear. Check the snare strap. If the strap (or cord) that holds the snare wires breaks or becomes too damaged to use, it will need to be replaced. Basic straps are cheap at a drum shop, but if you need a quick home fix, an old drum head can be cut into strips that will work well. Adjust the tension on the snare throw, and the drum will sound as good as new.